Grade 4-8-A clear explanation of the theory behind investing and compound interest. Nerve-rattling markets have convinced investors of one thing­­buy and hold is no longer the only viable strategy. 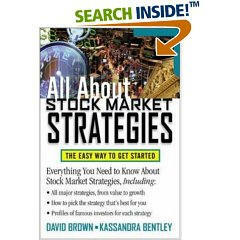 All About Stock Market Strategies provides an in-depth examination of today's most popular and successful investing strategies. From the basics of each strategy to choosing the correct strategy for a particular market, it is an authoritative look into this essential topic, written for investors of every size and objective. 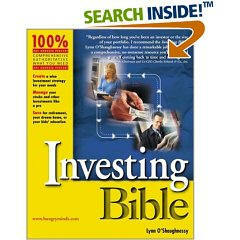 For novices and more the experienced investors. Focus is on the UK but also warrants traded worldwide. 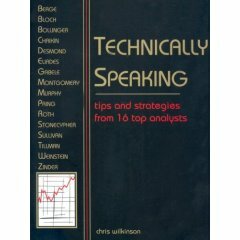 This book provides a concise explanation of technical analysis. You are shown when to buy, when to sell, and how to improve investment performance. By learning how to monitor a stock using charts, readers will be better prepared to make and save thousands of dollars. 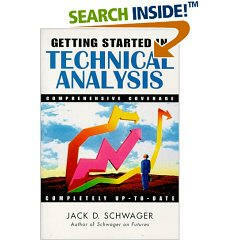 Inside this book you will discover candlestick charting, one of the most popular tools in technical analysis. Candlestick Charting Explained features updated charts and analysis as well as new material on integrating Western charting analysis with Japanese candlestick analysis, grouping candlesticks into families, detecting and avoiding false signals, and more. Readers of the original Classics overwhelmingly requested more! Since its publication in 1989, Classics has been read and reread by those who share a deep fascination with investments and markets. One of the most gratifying things an author of a how-to-do-it technical manual can receive is positive feedback from readers. Since Dynamic Trading was released in late 1997, I have received hundreds of letters, emails, faxes and phone calls from Dynamic Trader readers who have dramatically increased their trading results after reading and applying the strategies taught in Dynamic Trading. I have been trading, analyzing markets and teaching trading for the financial and commodity markets since 1986. I spent most of two years preparing the material in Dynamic Trading to be a logical, step-by-step guide to my approach to technical analysis and trading strategies. I'm sure you will learn something very valuable from Dynamic Trading and I look forward to hearing about your success. Robert C. Miner, Oct. 1999 --This text refers to an out of print or unavailable edition of this title. The first part of this book analyzes warrants from three perspectives. First, the basic terms and conditions of equity warrants are explained and defined. This is then followed by an outline of some of the different statistical and mathematical methods of analyzing a warrant's value. Next follows a section on the appropriateness of the equity warrant as a capital market instrument from an issuer's viewpoint. Thirdly, the equity warrant is considered from the investor's perspective and compared to other capital market instruments. 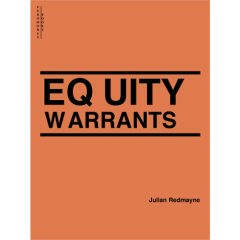 The second part of the book gives a detailed statistical and descriptive analysis of the main markets for equity warrants - the Euromarkets and the Swiss domestic market. 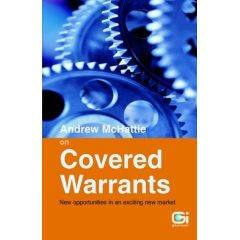 Finally, there is a section examining the important growth of covered warrant activity in the Euromarkets. These may not sound like typical questions for an econo-mist to ask. But Steven D. Levitt is not a typical economist. He is a much-heralded scholar who studies the riddles of everyday life—from cheating and crime to sports and child-rearing—and whose conclusions turn conventional wisdom on its head. An accessible introduction to the burgeoning foreign exchange trading market GETTING STARTED IN CURRENCY TRADING The Foreign Exchange (FOREX) market is the largest financial market in the world, with a volume of over $1.5 trillion a day—more than three times the total amount of the stocks and futures markets combined. Up until 1995, FOREX trading was only available to banks and large multinational corporations, but today, thanks to the proliferation of the computer and a new era of Internet-based communication technologies, this highly profitable market is open to everyone. This huge international market offers unmatched potential for profitable trading in any market condition or any stage of the business cycle. All you need is a computer, a high-speed Internet connection, and the information contained within this book. Getting Started in Currency Trading is both an introduction and reference guide for beginning and intermediate FOREX traders. This information-packed resource opens with a clear description of the FOREX market and a section of FOREX terms clearly defined with examples. by anyone anywhere to make a killing and earn a living. Livermore is considered by many to be the most flambouyant speculator that ever lived. In this book, he shares his philosophy of trading and list the rules that are necessary to win at the speculative process. An excellent author. 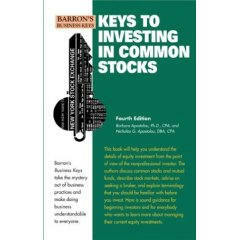 Provides a look at how investors think and how this impacts buy and sell decisions by investors. If you are going to be successful in the stock market, you not only need to know yourself, but what others may be thinking. The stock market is a zero sum game - you don't make anything unless others lose. 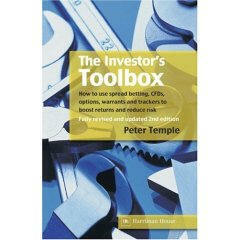 This book is only 87 pages but it clearly explains puts, calls, basic strategies, tax considerations etc. Plenty of eg. that detail with what the options are and why you would want to write either a put or a call option. 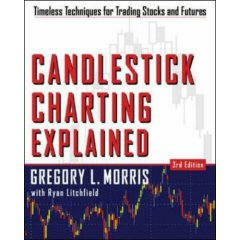 This is a fantastic book on the study of candlestick charting. 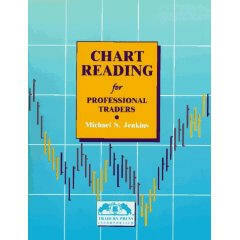 It covers historical background, chart construction, major patterns and the use of candlestick trend lines. Renowned market technician John Murphy presents basic principals of technical analysis in easy-to-understand terms. NEW TRADING DIMENSIONS: HOW TO PROFIT FROM CHAOS IN STOCKS, BONDS, AND COMMODITIES: As today’s market environment continues to change dramatically, more and more traders are discovering that traditional forecasting methods---pure technical analysis and fundamental analysis---just do not work. Sending out contradictory messages, these opposing schools of thought leave investors baffled about the futures direction of the market, and consequently, at a loss as to how to tailor their trading systems. As a result, many practitioners have now turned to a new forecasting cocktail that combines traditional charting methodologies with chaos theory and human psychology. In this groundbreaking book, Bill Williams, a seasoned trader at the forefront of this dynamic new approach, explains exactly what it is, how it works in current stock and commodity markets, and how to use it to your advantage. In easy-to-follow terminology, Lynch offers directions for sorting out the long shots from the no shots by spending just a few minutes with a company's financial statements. His advice for producing "tenbaggers" can turn a stock portfolio into a star performer! Today's investment industry is filled with a variety of new strategies that can be used to evaluate market price movements, but many of these methods never seem to deliver on what they promise. There is one approach to investment analysis, however, that has proven itself in all types of markets, and it's called Point and Figure Charting. 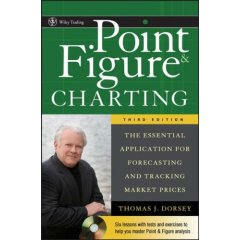 In the Third Edition of Point and Figure Charting, the world's top Point and Figure charting expert, Tom Dorsey returns to explain how traders and investors alike can use this classic technique-borne out of the irrefutable laws of supply and demand-to identify and capitalize on market trends. 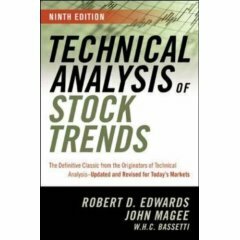 Within these pages, Dorsey describes, step-by-step, how to create, maintain, and interpret your own Point and Figure charts with regard to markets, sectors, and individual securities. He then explains how to use these findings to track and forecast market prices and develop an overall investment strategy. Victor Niederhoffer and Laurel Kenner probably know more about short-term movements than anyone else. 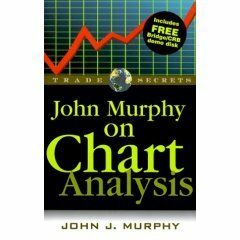 Their knowledge, based on sophisticated analysis of their unique database, underlies the findings in this book-an invaluable guide for speculators. Learn the art and science of stock trading from professional speculators. The authors share powerful long and short trading systems that span all time frames, including over one hundred annotated charts with commentary and rationale. The book contains a complete implementation of a professional trading platform, including dozens of TradeStation strategies, indicators, and functions. Further, advanced trading techniques such as pair trading and float trading are explained. These systems are integrated into a fully automated framework for position sizing and trade management. Finally, follow the authors as they track their stock selections throughout the week in real time. This is a fictional book based on the life of legendary trader Jesse Livermore. In addition to being a fascinating story, it contains valuable insight into trading and investing. 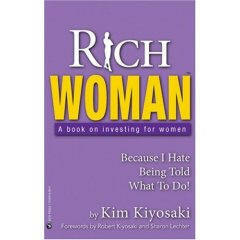 Written by Kim Kiyosaki - -the wife of bestselling author Robert Kiyosaki - RICH WOMAN is for women who insist on being financially independent – without depending on a man, family, company, or government to take care of them. In her book, Kiyosaki applies the same moneymaking strategies that have made RICH DAD POOR DAD one of the great publishing success stories of all time – but in a voice that is aimed directly at women. No matter what your financial background is or your current job situation, RICH WOMAN provides the essential road map for any woman who aspires to be financially free. A much-needed, up-to-date primer on the risk arbitrage investment process. Widely popular during the M&A boom of the early '80s, risk arbitrage is making a comeback. This complete resource takes investors through the ins and outs of risk arbitrage, explaining how it works and how to apply it in real-world situations. It also presents a systematic approach to risk arbitrage techniques that work in today's market. 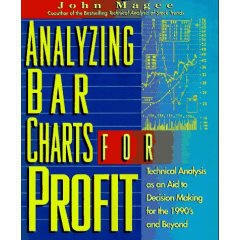 This is one of the best technical analysis books to date. This covers when to buy, when to sell, and how to sell stocks short. 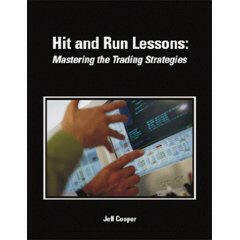 This book also has an in depth chapter on market stages which is worth the entire cost of the book alone. 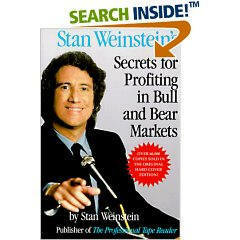 Stan Weinstein's Secrets For Profiting in Bull and Bear Markets reveals his successful methods for timing investments to produce consistently profitable results. 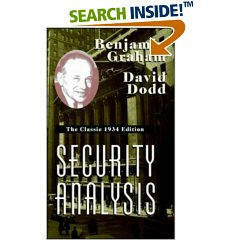 In a word, Security Analysis is the bible of fundamental analysis. 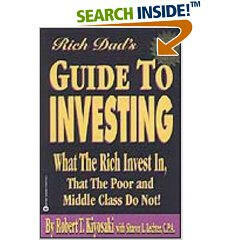 Written by David Dodd and Benjamin Graham, this book represents a classic among classics on Wall Street. While this book is rather lengthy and at times difficult to read, it is considered by many to be the definitive work when it comes to stock valuation and security analysis. As you may know, Warren Buffett was a student of Benjamin Graham. trading to capture large prices moves and a swing trading method for trading two to five day moves. This book was written by two expert traders who have teamed up to write a text that every serious trader should not be without. 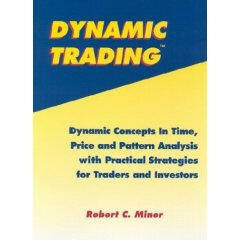 It is considered one of the best manuals on short term trading. 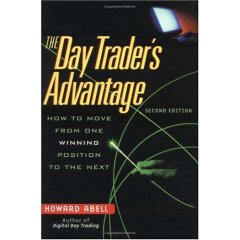 This book is written for the active trader. It is a compilation of strategies that the two of them have been trading with for the last 15 years in both equities and futures. Technical analysis is the art and science of deciphering chart patterns in order to better analyze and predict prices of a given security. 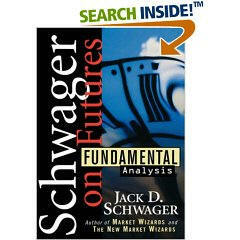 Jack Schwager demystifies technical analysis for investors, introducing them to oscillators, price-and-time charts, on-line charting applications, and much more. –Phil Roth, CMT, Chief Technical Market Analyst, Miller Tabak + Co.
basic principles to advanced trading techniques. 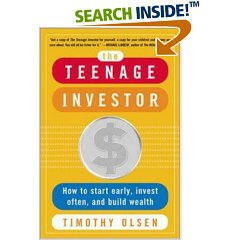 This book will help investors make money regardless of what the market is doing. 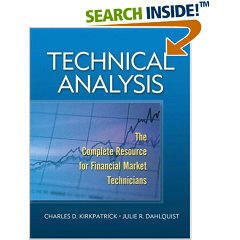 This book features in-depth interviews with 16 of the top technical analysts. Excellent information and easy to read. Livermore is considered... the greatest trader who ever lived. He broke new ground in timing techniques and trading the market. Asset allocation is a crucial and continually popular topic among investors of all types. The Art of Asset Allocation is a practical, hands-on guide that shows finance professionals and individual investors how to achieve an asset balance designed to thrive in a wide range of financial market environments. David Darst, author of the highly acclaimed The Complete Bond Book, provides a comprehensive framework for using asset allocation principles in bull, bear, or non-trending markets. "Loeb tells us to put all our eggs in one basket, and watch the basket." Two books in one originally published in the mid and late 1800's that examine how crowds work and function. A look at the masses of people in the market and how they think. in learning the ropes of day trading. Warrants are the fastest growing market on the stock exchange, and represent one of the most exciting investment opportunities around. For many investors, however, there is precious little information available on warrants, and many of the vital facts are obscured by jargon and uncertainty. For these reasons, this guide is a must for anyone interested in this subject. Scot Lowry spent years of researching and testing various methods and systems for futures trading and this book is a result of his efforts. How can you join the ranks of America's wealthy (defined as people whose net worth is over one million dollars)? It's easy, say doctors Stanley and Danko, who have spent the last 20 years interviewing members of this elite club: you just have to follow seven simple rules. 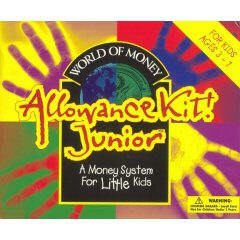 The first rule is<<Selection in Document, always live well below your means. The last rule is, choose your occupation wisely. You'll have to buy the book to find out the other five. The book interviews a number of the world's best traders and you get an insight of how important cutting losses and admitting investment mistakes is . Acclaim for Bernie Schaeffer's expert approach to options trading. "Bernie Schaeffer's penchant for contrary investing is terrific, and his market calls on that strategy have been excellent. He shows how to apply contrary thinking-and many other types of 'expectational analysis'-to option strategies. 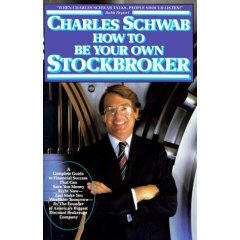 All option traders should enjoy reading this book." -Lawrence G. McMillan President, McMillan Analysis Corp. 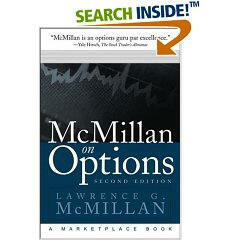 Author, Options as a Strategic Investment and McMillan on Options. Discusses a simple, but effective system for timing market entry. Based on a technique used by the legendary W. D. Gann, who said of this method, "You can make a fortune by following this one rule alone!" Incorporates a technical trading rule, which utilizes a consistently competitive pattern of market behavior. Applies to all markets and to all time periods, whether short term (intraday), intermediate, or long term. Many traders have contacted us months after reading this book and told us it was one of the most useful books on trading they had ever read. Covering everything from municipal securities and maintenance calls to serial bonds and NASDAQ, this exhaustive reference is invaluable for understanding stock market fundamentals. Now more than ever, it is the one guide every market participant-whether individual investor, broker, or financial advisor-should own. basic way and explains how it relates to companies and the economy. Written in plain English and easy to read. A behind-the-scenes look at some of the biggest traders on Wall Street, including Victor ``Trader Vic'' Sperandeo, Jon ``Dr. J.'' Najarian, Denny Engleman, Chuck Feldman, Dudley Eppel, Bob Scavone, Steve Bodurtha, James Mangan, Joe Apisa, Frank Masij and Frank Baxter. Filled with ``war stories'' and fascinating personal accounts, the book is both an entertaining read and a treasure chest of market wisdom. 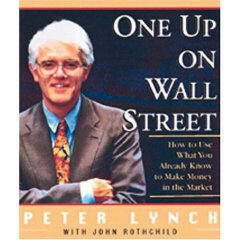 This book gives you a firsthand look at what its like down on the trading floor of the various American Exchanges. Over 30,000 online investors daily flock to pristine.com, the top-rated Website run by day trading legends Oliver Velez and Greg Capra, for up-to-the-minute strategies and market commentaries. In Tools and Tactics for the Master Day Trader, Velez and Capra revisit and completely update over 100 of their daily commentaries from the past four years, with new material explaining what worked, what didn't, and why. This trading masterpiece has been fully updated to address all the concerns of today's market environment. With substantial new material, this second edition features Tharp's new 17-step trading model. Trade Your Way to Financial Freedom also addresses reward to risk multiples, as well as insightful new interviews with top traders, and features updated examples and charts. With a surge in the number of people trying their hand at trading today—baby boomers, retirees, individual investors—it's more important than ever to develop a solid working knowledge of the rudiments of this potentially profitable practice. Trading 101 is a clearly written, concise, and thorough introduction to the basics. How to determine "what the market wants"
Most importantly—"how to want what the market wants"
Soviet-born author and practicing psychiatrist Elder (director, Financial Trading Seminars, Inc.) shares his learning over the years as a professional trader and expert in technical analysis and his principle of understanding the three Ms (Mind, Method, Money), which will strengthen the discipline required to be successful in trading. He explores crucial factors in the markets that most experts overlook, including time, volume, and open interest, and describes little-known indicators to track them profitably. Succeeding in the market takes a kind of wisdom that comes from years of experience and insight. Mix this wisdom with intelligent planning and a calm patience and you have all the making of a winning trader. But how does one remain calm and plan intelligently? This can only come from watching the successes and failures in the market over many years. 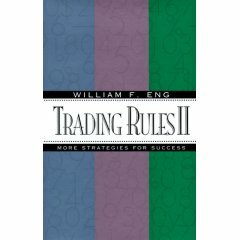 William Eng has earned has earned his place in the libraries of trading literature. His awareness of market trends and insights into basic human behavior have allowed him to pinpoint the most critical rules of trading process, rules that can guide a life-long winning career. Learn to: . Manage your trades so you make the most money . Sell short as often as you go long . Keep a profit from turning into a loss . Trade at the market and not use price limit orders Prosper from Eng's lifelong adventure in the investment world and learn how to make money and cut losses. Whether you are new to trading or a seasoned professional, you'll learn something new from this book-something you'll wish you had know years ago. This book goes one step further than the first by showing even more insight into the market strategies that are used by market insiders. 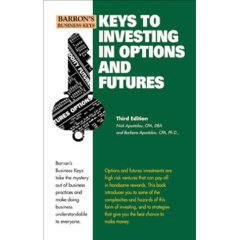 This book is covers everything to do with futures and options. Great for the beginner to the experienced. Most people come to know of Warren Buffett through his ability to generate wealth. However, as Janet Lowe reveals in her book, Warren Buffett Speaks, Buffett is more than a money-making machine. 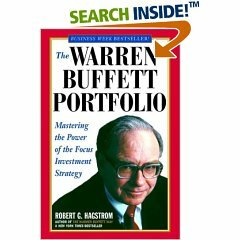 Warren Buffett Speaks is a library of notes and quotes that have been collected over the years, aimed at revealing the many aspects of the World's Greatest Investor--his wit, personality, and wisdom. The first half of the book deals with Buffett's view of life, family, and friends, while the latter half focuses on Buffett's investment philosophy and observations about the market. This book is a must for every Buffettologist. Warren Buffett's ideas on the subject, such as "knowledge decreases risk, not the number of stocks in your portfolio". Such an approach makes sense. Which is better, to own a few companies that you know everything about, or a lot of companies that you know little or nothing about? Starting with $10,000 in 1956 and today worth some $8.5 billion, with significant holdings in Coca-Cola, Capital Cities/ ABC and the Washington Post Company, Omaha, Nebr.-based Buffet is a major player on Wall Street. Financial consultant Hagstrom, who did not interview his subject but obtained permission to quote from his Berkshire Hathaway annual reports, here outlines Buffet's iconoclastic tenets for investing. Unlike many entrepreneurs who take over companies to sell them off in bits, Buffet buys and holds. He rejects the "efficient market theory"; he doesn't worry about the stock market; and he buys a business, not a stock. He manages with a small staff, no computers and a "hands off" strategy. Learning his secrets here, now the rest of us can do a Buffet? Illustrations. Fortune Book Club dual main selection. 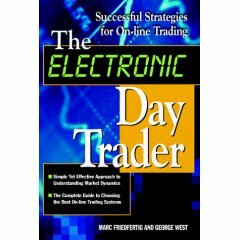 This book goes over what you do wrong when trading in the market. Excellent help for people that don't know when to sell. 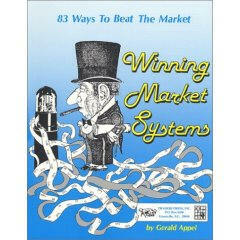 This book is a regular encyclopedia of winning strategies and technical indicators that are timeless. 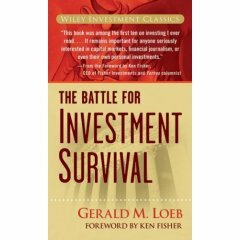 Even though it was written in 1973 the strategies still apply today.